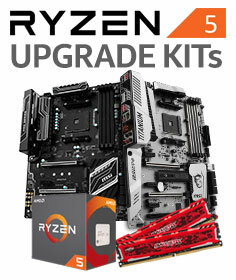 Introducing the brand-new AMD RYZEN 5 line-up of processors, making high-end computing available to everyone – even people on a budget! Experience the power of RYZEN 5 multi-core processors, elevating your performance in every area. Utilizing astonishingly low power to output an astounding amount of power, RYZEN 5 processors are here to shake up the mainstream processor market. Say no to overpriced technology. Say no to the absence of competition in the market. Do you want a gaming rig that can do, just a bit more? Snag the 6-core, 12-thread Ryzen 5 and watch it tackle all computing tasks in a jiffy. 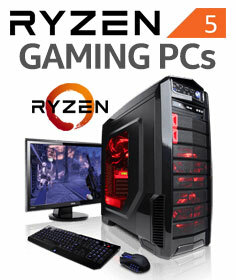 On a budget, but still want to experience gaming prowess offered by 8-thread CPUs? The 4-core, 8-thread Ryzen 5 CPU has you covered! Don’t settle. Don’t compromise. 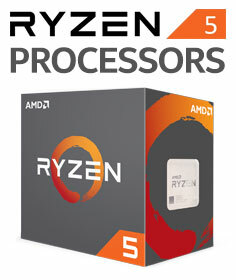 Price is no longer a limitation with AMD RYZEN 5. Enjoy the envious glances of your peers, as they watch you zoom ahead with the brand-new Ryzen 5 CPU. Be part of the processor revolution, get Ryzen. Grab one, choose your favourite AM4 motherboard to go with it, and finally complete your dream rig at an unbelievable price!